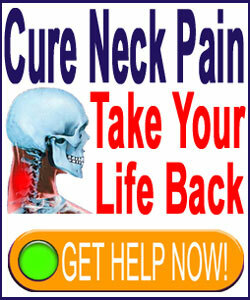 Holistic neck pain treatment is defined as care approaches that improve the health of the entire person, mind, body and spirit, rather than simply targeting neck symptoms. Holistic is a term thrown about casually and is usually used to refer to nonsurgical and nonpharmaceutical health practices of all types. However, this is incorrect use of the word. Just because a treatment is all-natural and noninvasive does not make it holistic. True holistic care is never symptom-based, but instead seeks to optimize the overall wellness of the recipient in every aspect of their life: mentally, physically and emotionally. Failure to provide for all three of these inherent parts of the human being diminishes the level of holiatry that can be claimed by any given therapy. 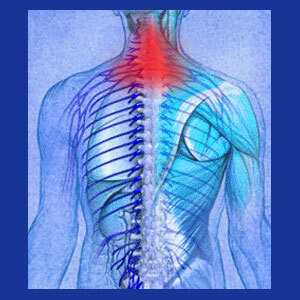 This discussion focuses on true and partially holistic care regimens for neck pain. We will also discuss the effectiveness of each type of treatment so that patients can choose the best approach for their particular needs. Chiropractic comes close to a holistic perspective, since it treats the entire body, rather than focusing on specific complaints, at least in theory. Many chiropractors also offer general health and dietary counseling. However, it is rare to find a chiropractor who provides any significant emotional or mental health practice, at least at more than a surface level, but there are some exceptions to this rule. Alexander Technique also focuses on improving the health of the body in its entirety, but does not provide much in the way of mental or emotional support, except to focus on breathing correctly. Some practitioners might use some superficial mental or emotional enhancements with their clients. Acupuncture provides natural pain relief and in the hands of an expert care provider, can also help to regulate the overall wellness of the body and psyche. However, the focus of care is physical, for sure, while the mental and emotional therapy is minimal or nonexistent in many cases. Massage can certainly improve overall health of the body and can relax the mind. However, the practice falls short of addressing many root causes of conscious and subconscious stresses that cause and perpetuate pain, making it better for symptom relief than as a curative method of care. Spinal decompression might seem like a strange addition to this list, since it is a modern machine-based medical modality. However, decompression can help to improve overall health of the spine and can provide real logical and emotional reassurance that a cure is possible without surgery, making it a partially holistic approach to care. If care providers take the time and effort to address additional aspects of the human condition during treatment, then decompression is a great addition to a holistic combined care program. Physical therapy can help improve performance and functionality in the body and might also provide some degree of relaxation for mind and spirit, but the focus is surely on the physical realm here, creating deficits that prevent the practice from reaching truly holistic status. The three options for neck pain therapy below represent the very best choices when attempting a holistic approach to pain relief or management. Traditional Chinese medicine is one of the best examples of treatment that is virtually holistic and might even cross the boundary into full holistic in some instances. TCM definitely focuses on providing optimization of overall health and wellness physically by balancing life energy and regulating diet. Patients are often instructed to perform mental and emotional work as well, such as meditation, qi gong and other introspective practices. When all human needs are well met by a particularly well versed care provider, TCM is an ideal example of true holistic care for neck pain or any health issue. Knowledge therapy certainly focuses on the mental and psychoemotional realms and in this regard, does a great job to undermine pain issues that originate in the mind. However, many programs stress the value of living healthily, as well, and by adding exercise, dietary and other advice that addresses the anatomy. Knowledge therapy is a virtually perfect form of holistic treatment. Pain coaching uses a combination of techniques that address mental, physical and psychological needs of sick and pained people. Coaching is proven to be just as effective, if not more so, than traditional medical care, without any of the risky downsides of participation. Holistic care is great, but some conditions require specific types of targeted treatment that focus on a specific part of the human condition, rather than an all-around wellness enhancement plan. For example, some patients require focused psychological therapy to overcome deeply rooted issues in the psyche that have caused them health problems their entire lives. In much the same manner, some structural problems may require the use of pharmaceutical products or surgery to overcome. Therefore, we recommend understanding the benefits and limitations of each type of holistic care and choosing the best therapy based on the condition that needs to be managed or resolved. Each diagnosis is different and holistic care might not always be the ideal way to handle every individual neck pain complaint. However, for improving overall life quality and duration, living a holistic existence by caring for every aspect of your mental, physical, and psychoemotional health is always advised. One of the best compromise approaches to finding effective holistic care is to combine several partial modalities that cover all aspects of mindbody health. Most of these techniques work well when used in combination and patients who put in the extra effort to design a well-rounded care plan often receive the greatest rewards in terms of decreased pain, better peace of mind, clearer mental focus and overall enhanced health in every way.